Gertrude may have finally said goodbye to Fairyland, but Skottie Young is already back with an all-new series! Joined by artist Aaron Conley (Sabertooth Swordsman, Rocket Raccoon & Groot), the I Hate Fairyland creator delivers a hilarious all-new, all-ages story about everyone’s favorite pastime: bullying. The covers and other promotional materials seemed to be pushing geeky Spencer as the main character, so I was surprised by how much focus was put on Rufus, who looks like the villain on the cover. It’s a nice story to see someone knocked off their pedestal after ruling school and then suddenly find themselves back at the bottom. Young and Conely do a great job at painting a picture of what high school looks like from a students point of view. I am actually surprised to learn that this is all ages. After I Hate Fairyland I couldn’t imagine Young making something for kids - but he outdid himself with this one. 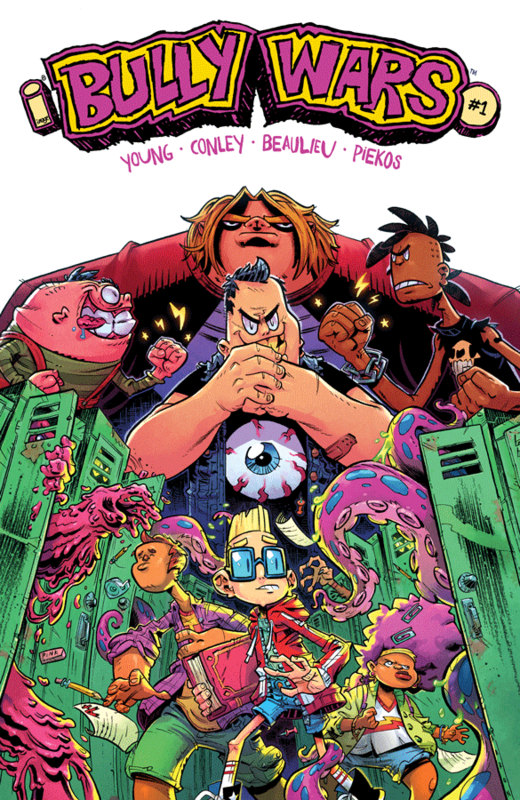 Bully Wars is wonderfully colorful with some great characters and promises to be a fun series with a goofy premise that sounds right up my alley. This new square-shaped mini-series from S.M. 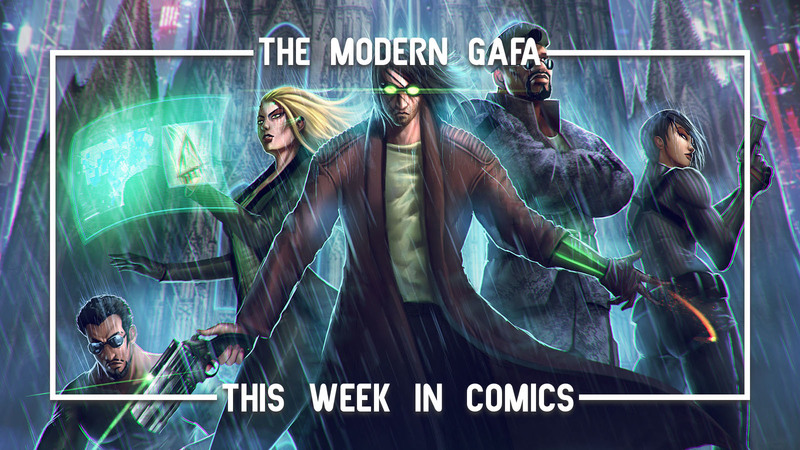 Vidaurri and Mollie Rose returns with another amazing issue as Steven continuing to hold onto the Harmony Core, a mysterious ancient Gem Artifact that recently activated itself. It’s up to Amethyst to take over his responsibilities, including band practice. But when more Harmony Cores threaten to activate, the Gems must act quickly or else the entire Earth will be put in danger! My biggest takeaway from this issue getting to see “mature Amethyst” that the TV series has recently been exploring. She’s really started to grow up and get her act together. Since the show is focusing on the larger war at hand, it’s nice that this comic is able to explore some deeper character stuff just as it did with Sadie in the last issue. Speaking of Sadie, we get a song number in this issue! I know it’s just a comic so it’s pretty much just lyrics but it’s always great when a song pops up in Steven Universe - there are very few I don’t love. Unlike the main Steven Universe comic series, which is mostly slice of life one-off adventures, Harmony is an ongoing story arc that feels like the best Steven Universe episodes. There’s character development, emotional moments, Gem history, magic and science, a fusion, and even a song! Harmony may end up being one of my favorite Steven Universe comics. Schizophrenic Detective Aiden McCormick is running out of time on his mission to bring down the Flayer, a gruesome killer who is wreaking havoc across Detroit. But as things start heating up, Aiden realizes he’s going to need a little help. 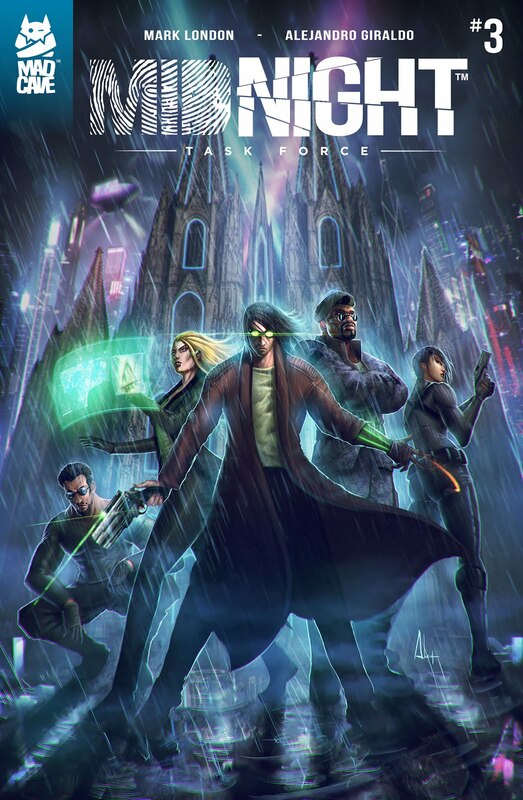 This issue introduces Aiden’s team, the titular Midnight Task Force. A new pair of fresh eyes - very good eyes at that - are able to pick up on clues that Aiden might have missed. Everyone in Detroit - including the public as well as his precinct - act like Aiden is an all-powerful super detective, so it’s cool to see someone who up and cracks a new lead in the case in like five minutes. This issue also delivers a few pages of flashbacks. One shows Aiden as a small child in some sort of creepy Akira institution where it’s made clear that he was always a genius. Another flashback introduces us to Mia, a member of Aiden’s team. When she first showed up, she was a green rookie and had no idea what to do. Now, the student has become the teacher as she practically solves his case in no time. But just because Aiden’s team helps him out a bit, doesn’t mean this case is closed. They’ve figured out the Flayer’s next place of attack and, unfortunately, he’s hitting home. The next issue promises to bring out the guns as a battle against the Flayer inside the precinct rages on! As I mentioned previously, the character of Aiden McCormick is hands down the best part of Midnight Task Force so this issue’s introduction of characters from his past really has me excited. In their brief appearance so far they already shake things up, getting me excited for future interactions between them. The art is still top notch and the worldbuilding is impeccable, but the characters alone make it worth it. Green haired Lottie Person returns to the anxiety-ridden world of fashion blogging. 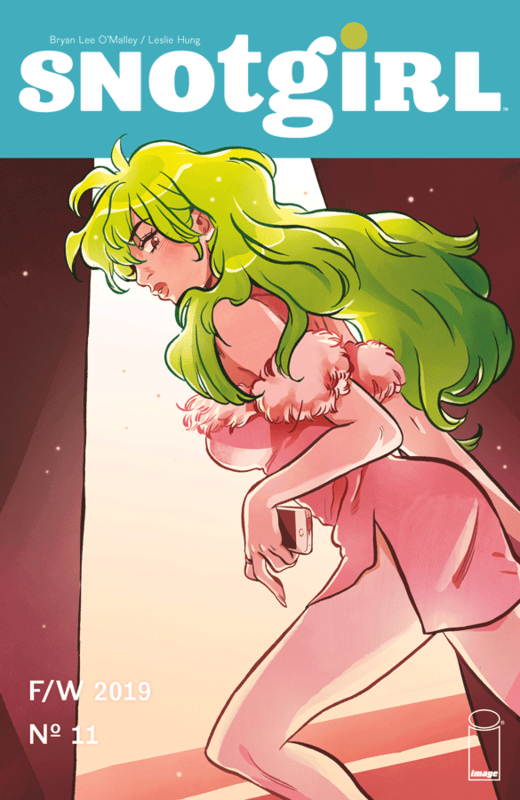 After a crazy night of shrooming in the desert, Lottie and her friends return home to deal with all of the drama they left behind - and some new drama that’s just popped up. Okay, let’s get caught up. Meg just got a rescue dog even though she should be busy planning her wedding to Ashley who has been hanging out with Lottie’s ex-boyfriend Sonny who is newly single after his ex-girlfriend Charlene realized she was gay after falling to near death that may or may ot have been the result of being pushed by Lottie and/or her new and mysterious friend Caroline who Lottie totally made out with on their trip and hasn’t spoken to since. These complex character relationships are great for two reasons: 1. It’s hilarious. And 2. It really shows how well O’Malley handles large casts of characters having interconnected stories and relationships. I read the first ten issues in one weekend ages ago and at no point in this issue did I get confused on who was who. Another one of my favorite aspects of this series is how it depicts blogger culture, something I can personally relate to. There is a scene were Meg shows up at the group’s “Haters Brunch” with a fancy camera on a fancy, handheld tripod already in the middle of shooting a vlog. Neither Lottie nor Misty are in the mood. And of course, we can’t leave here today without talking about the shocking ending to our last issue: the kiss. Lottie is reeling from her possibly romantic, possibly sexual, possibly nothing, under the influence kiss with Caroline. Lottie’s conflicted desire to both avoid Caroline and be with her every second really makes you feel for her. 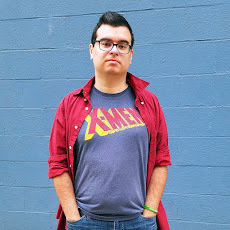 Bryan Lee O’Malley brings the twisted relationships of Scott Pilgrim and fuses it with the anxiety and mental anguish of Lost at Sea backed with the beautiful, almost manga-style artwork by Leslie Hung that always shows off the most glamorous fashion ripped straight from the world of Instagram influencers. One day, the entire population of the Earth turned to stone. Thousands of years later, a few survivors wake up and find the world completely changed. Now they must adapt to their new environment while trying to find a cure for humanity. 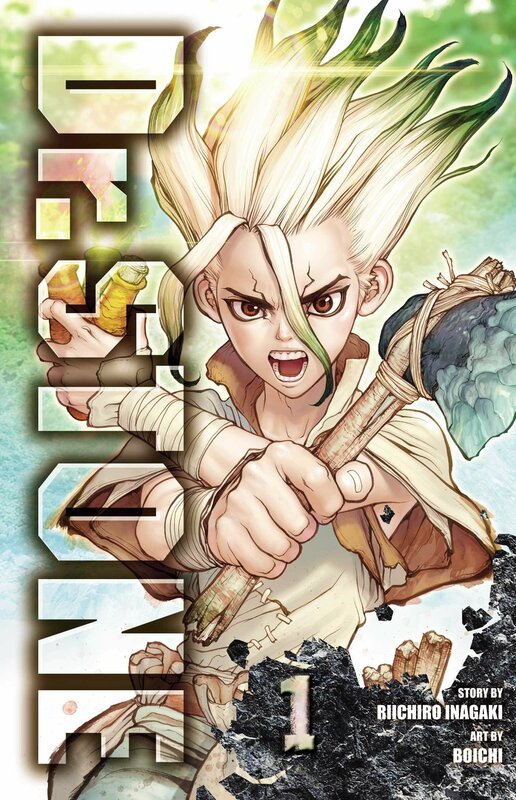 It’s a fun and well-written shonen manga and Vol. 1 left me wanting more. Click here to read my full review now! Midnight Task Force sounds so good! I have yet to read it.